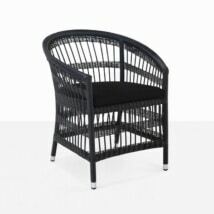 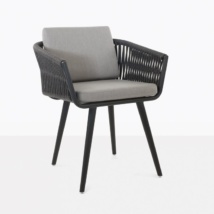 The Nero Rope Outdoor Dining Arm Chair has a clever design that is sophisticated, fresh and on trend. 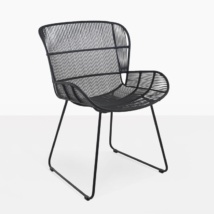 The overall appearance is light and airy because of the simple frame, but take a closer look and you will see the precise design of the rope strands that make up the seat and back rest. 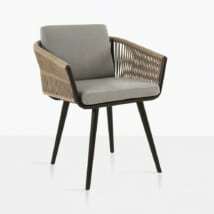 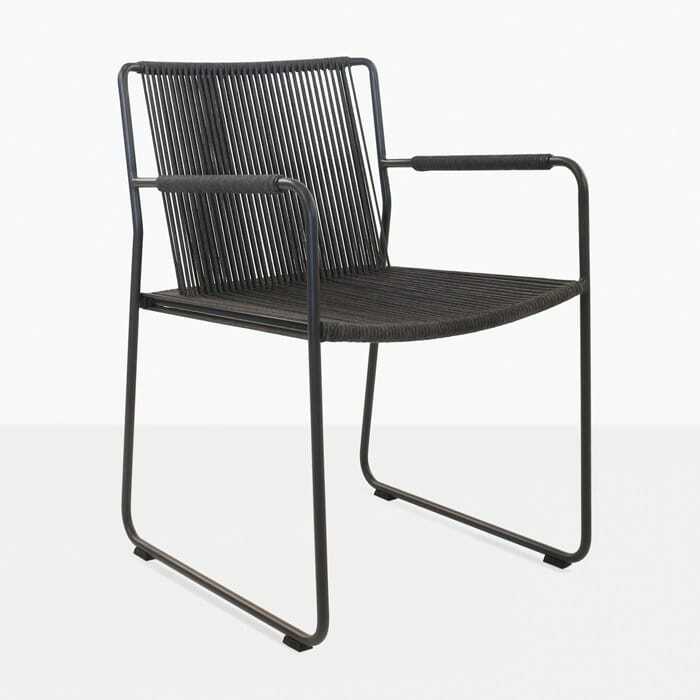 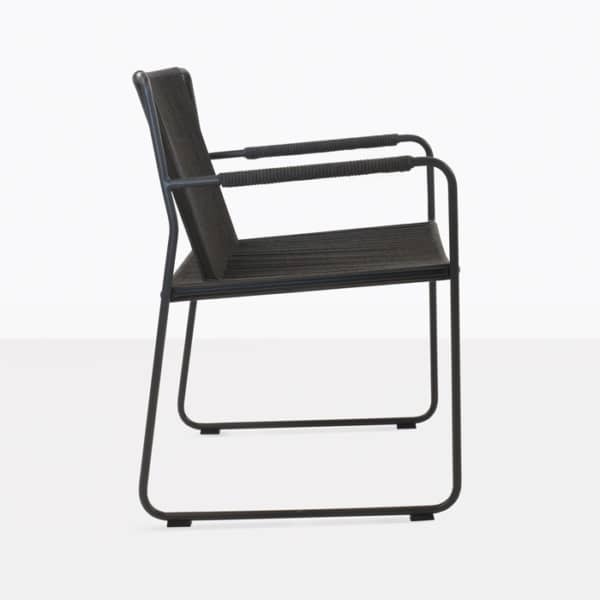 The Nero dining armchair has a powder-coated aluminum frame that is wrapped with Italian-made rope. 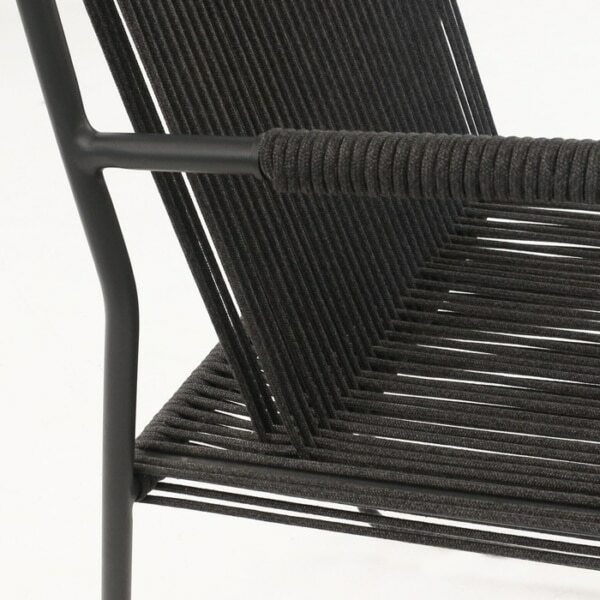 This rope has been engineered to be strong, durable and weather resistant. 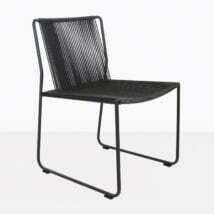 It has just the right amount of give so that the seat is comfortable and no cushion is needed. W20.5" x D23" x H32"
This state-of-the-art outdoor dining chair is also available as a side chair without arms. This chair pairs beautifully with a-grade teak or raw concrete dining tables. 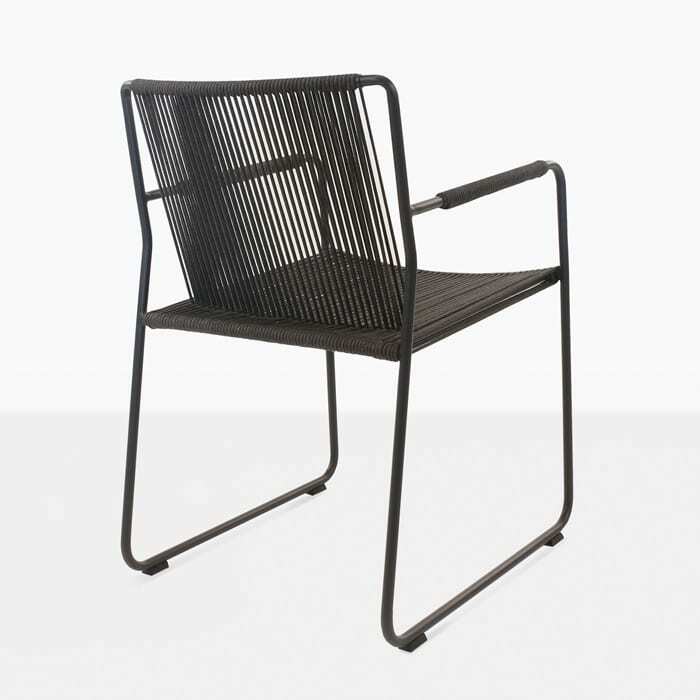 We also love it with our a-grade teak and marine grade stainless steel dining tables; this combination makes a luxurious and contemporary outdoor dining set.